Turtles are not affectionate animals; don't expect cuddles and love from a turtle! Turtles are not the pet for you if you expect a loving and exciting companion. Even though they are slow and seemingly boring, turtles and tortoises can be a small challenge to care for. Water turtles can require a larger tank, and tortoises can require a tank as large as 40 gallons. Turtles are carnivores for the first few years of their life, then turn into omnivores with age. You can feed them some cooked meats, insects or leafy vegetables. Tortoises are herbivores, mostly eating vegetables and sometimes fruits. Desert tortoises enjoy leafy greens, while redfoots like fruit. Can I keep multiple turtles/tortoises in one enclosure? Yes, as long as they are all the same species. 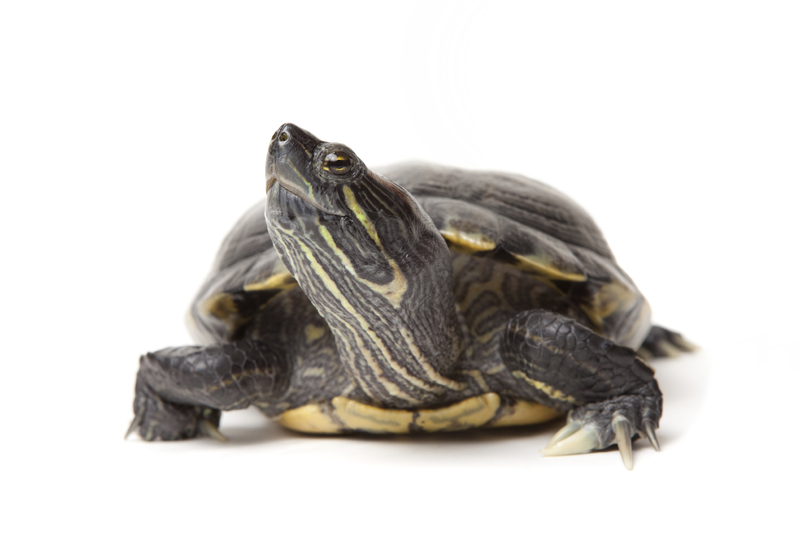 Interspecies bacteria can cause sickness in your turtles and tortoises. How long can turtles/tortoises live? Turtles can live for an average of 30 years and on. Tortoises can live upwards of 50 years! How large can turtles/tortoises get? Depending on the breed, some turtles can get nearly a foot long. Tortoises are the same way, depending on breed, they can range from a couple of pounds to nearly 100 pounds! What size tank is needed for a turtle/tortoise? Turtles can require a large tank, up to 30 gallons. And that's only for a single turtle! Tortoises need a 40-gallon tank minimum; they can get pretty large! Turtles and tortoises are very messy, so a large tank is easier to clean and keep up with. This Ponderosa pine bark is an excellent natural bedding for all high-humidity loving reptiles. Lifelike tropical plants can be used to create a jungle look in any terrarium without the hassle of plant maintenance. Can be used during the day to provide radiant heat and establish a daytime ETR. Use the chart on side of box to determine appropriate wattage. Full-spectrum lighting closely simulates natural sunlight to provide a natural environment for reptiles, so they feel better and see better, while making food colors and skin tones appear as they do in natural sunlight. Fluker's Heat Mat operates at a constant 100°F. Durable construction provides uniform, evenly distributed heat. Fluker's makes a Turtle Diet and a Tortoise Diet. Each formulated with the appropriate vitamins and minerals needed to keep the animals healthy. Comes in Large Pellet and Small Pellet. In addition to the diets, Fluker's recommends sprinkling Reptile Vitamin and Calcium:Phosphorous on animal's food once a week. (Not daily as some vitamins may be toxic if used in excess). Liquid Vitamin is also a great supplement. It provides important electrolytes and can be sprayed directly onto the animal's food.